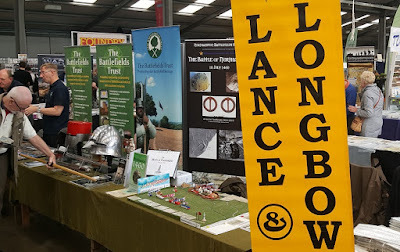 For some years, now, we have jointly booked Partizan with the Lance & Longbow Society and Northampton Battlefields Society. 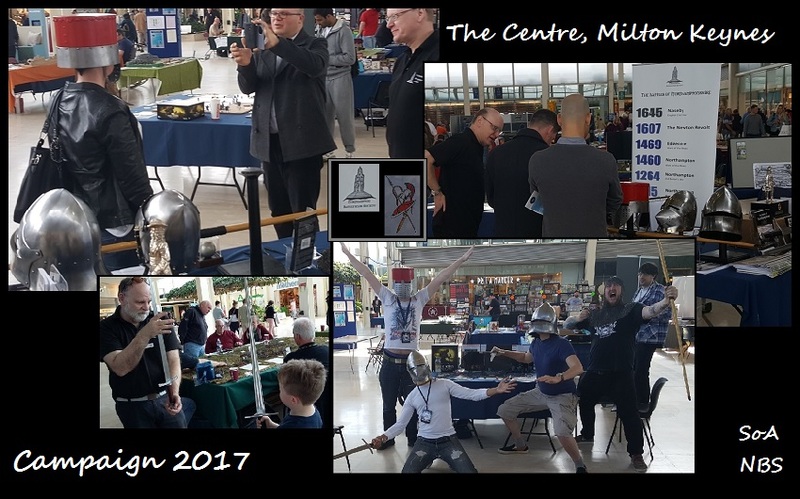 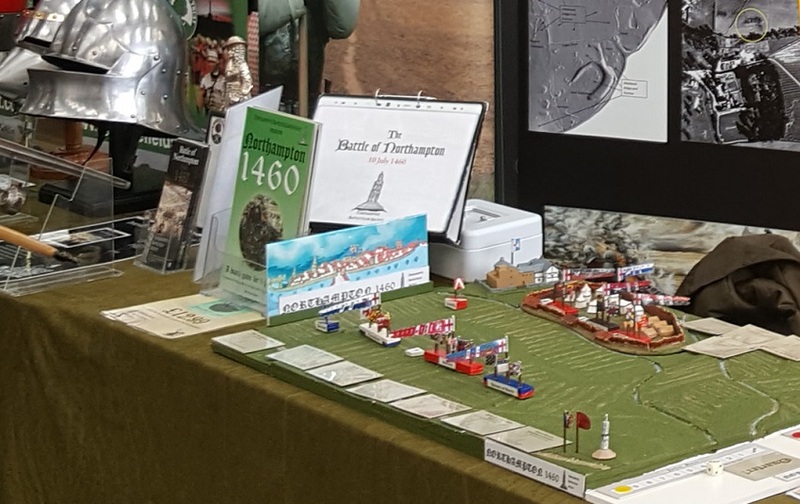 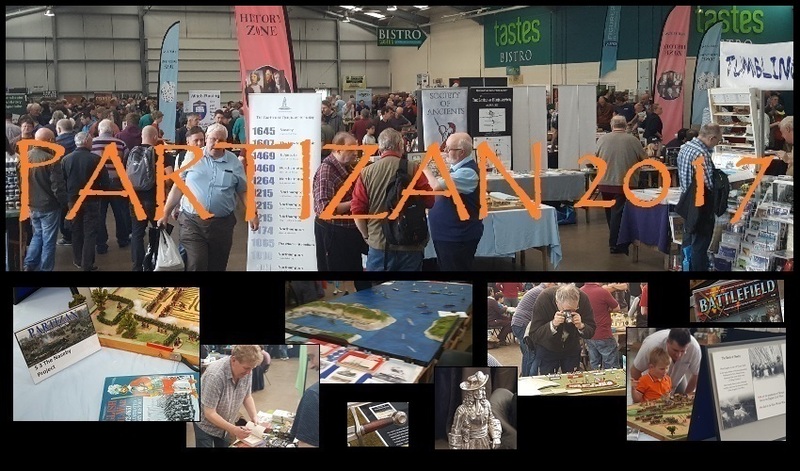 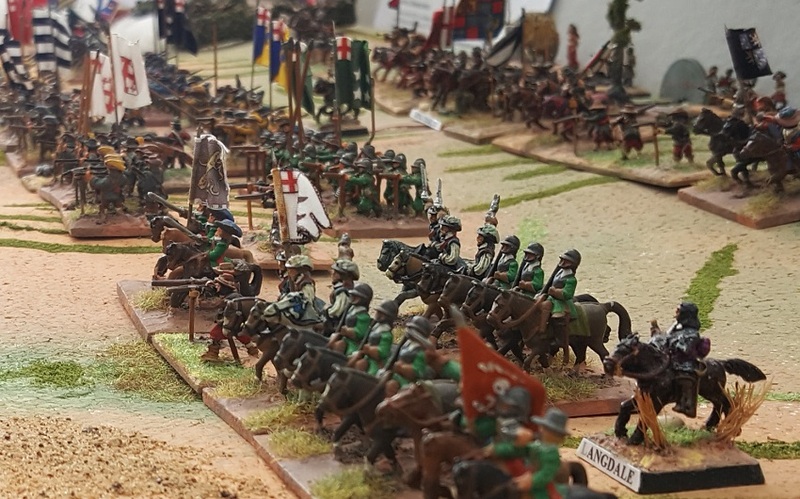 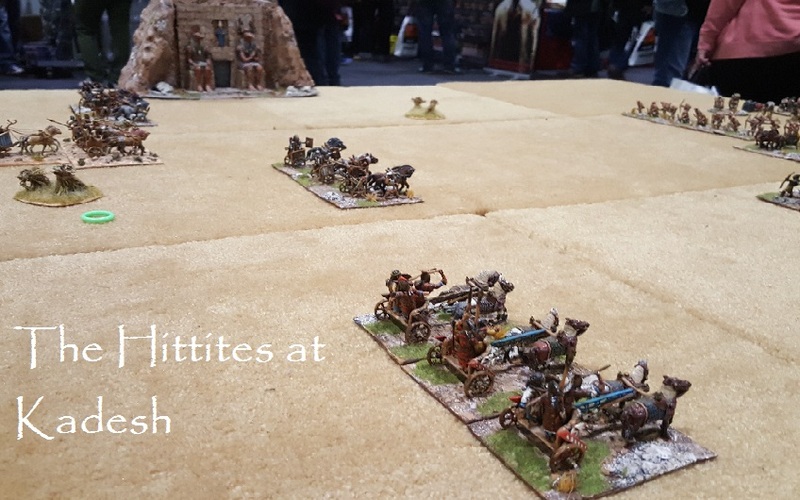 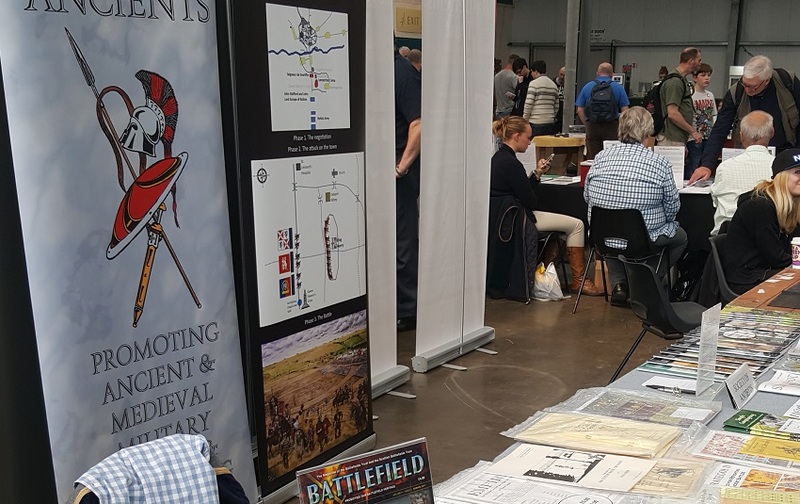 Latterly, the organisers have created a 'history zone' to accommodate the historical wargaming societies and military heritage stands. 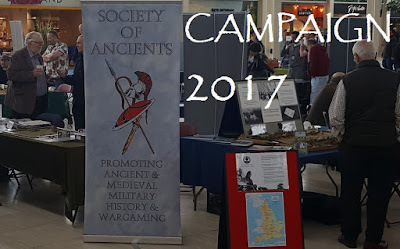 Please click those links, as all these worthy organisations need your consideration. 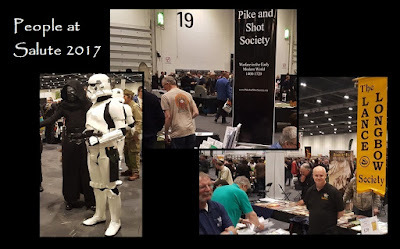 All are charities or volunteer run. 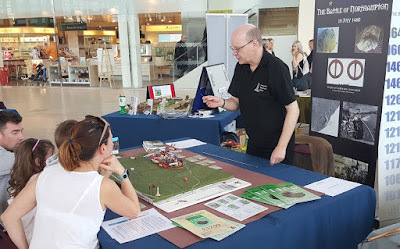 Wargaming and military heritage interests would not be where they are without them. 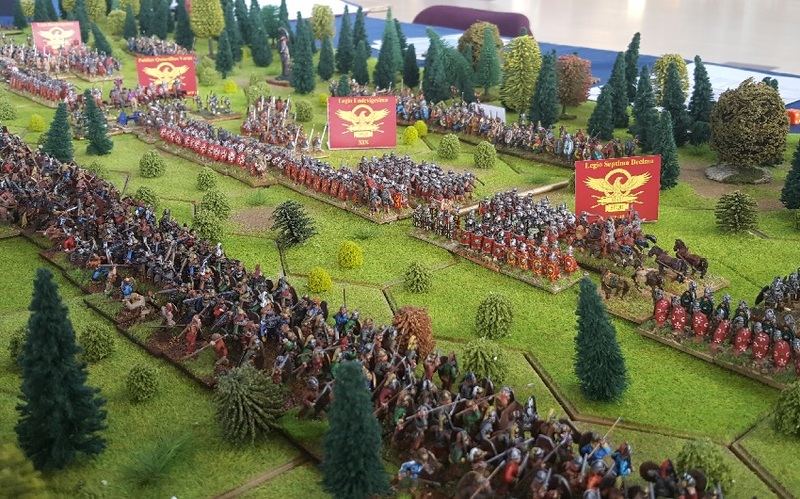 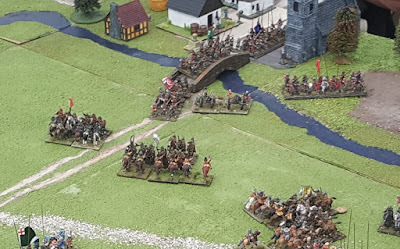 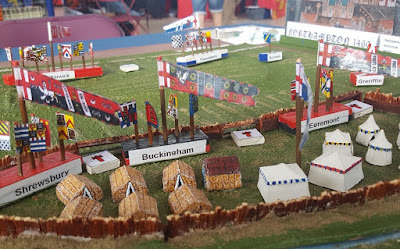 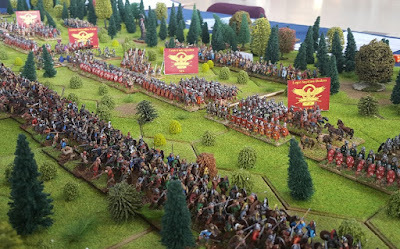 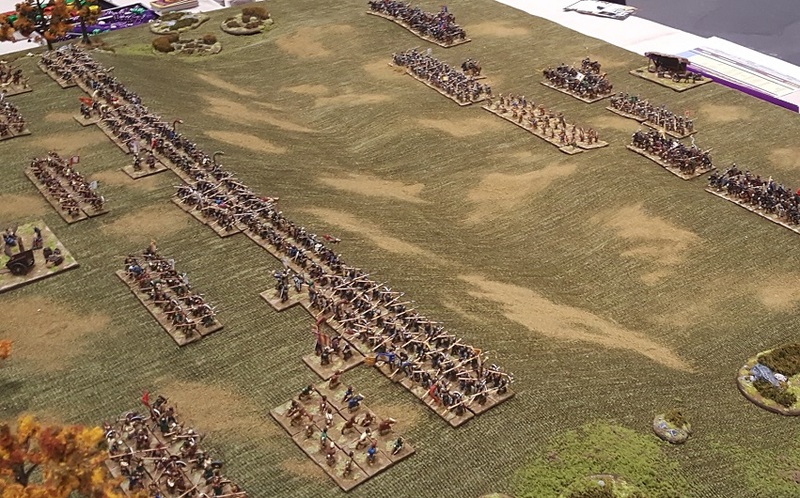 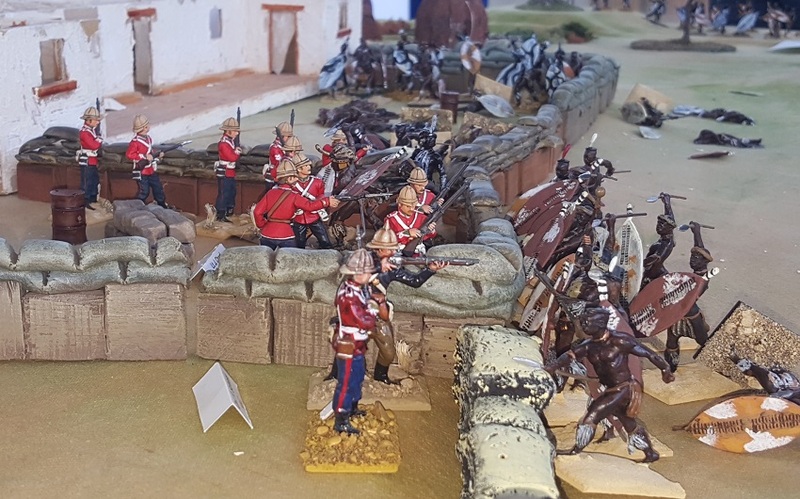 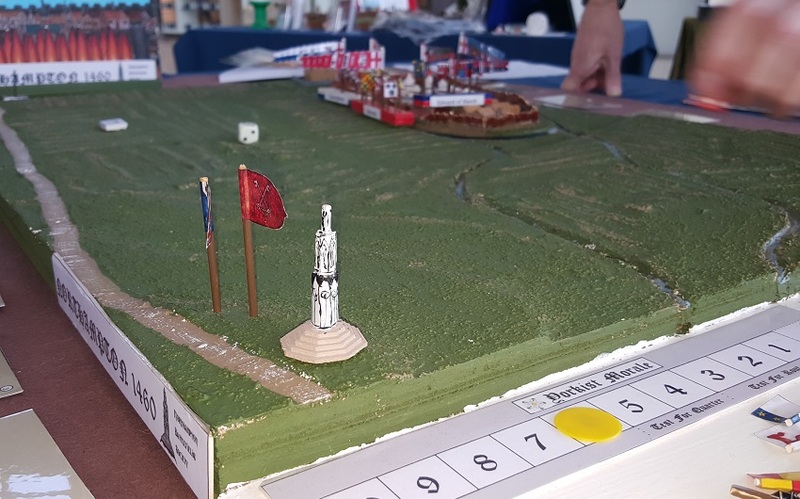 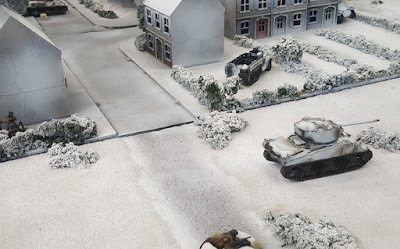 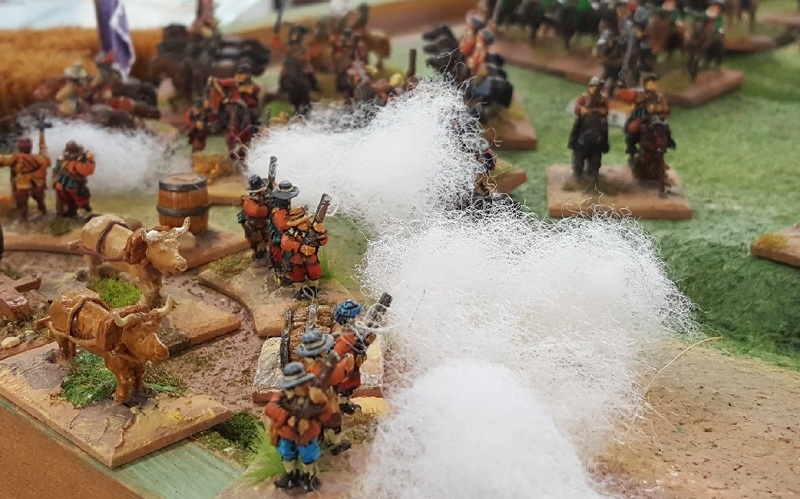 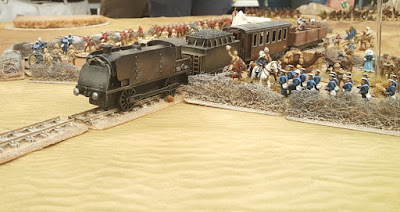 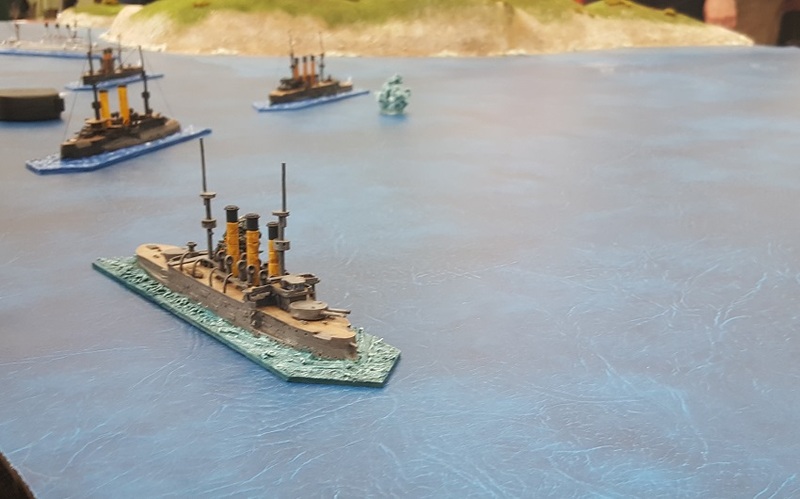 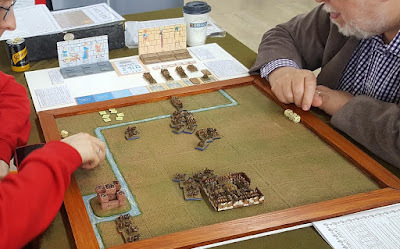 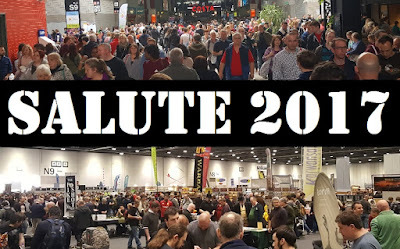 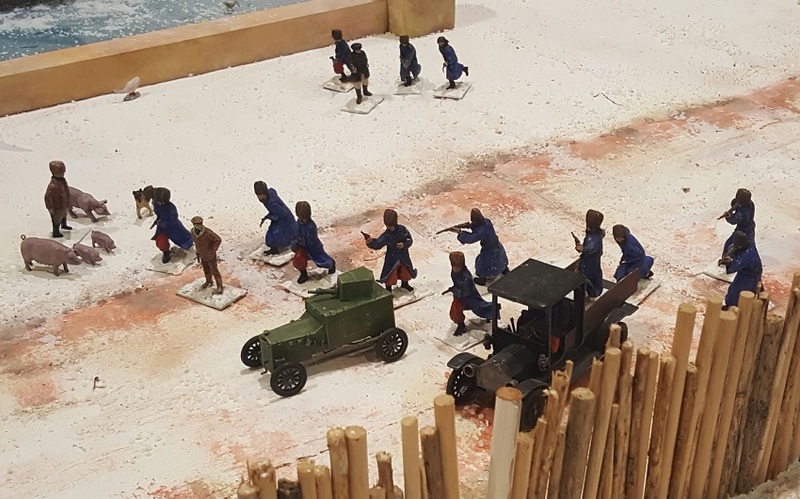 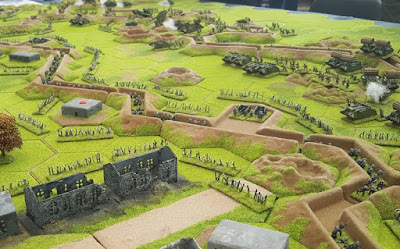 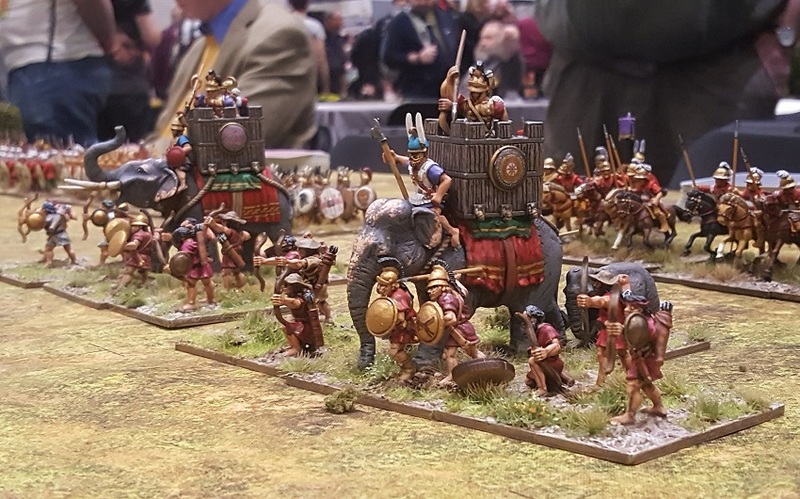 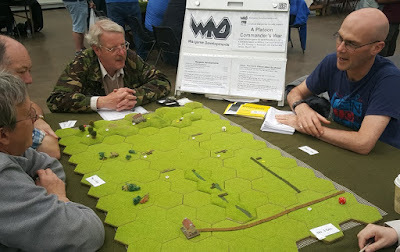 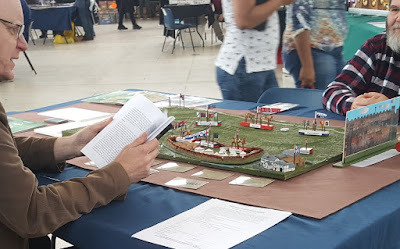 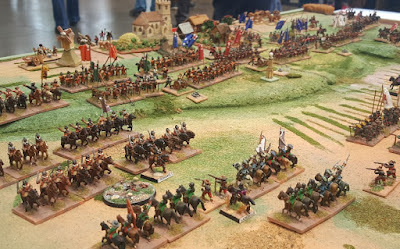 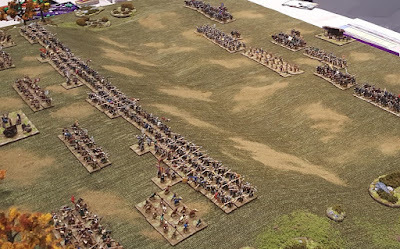 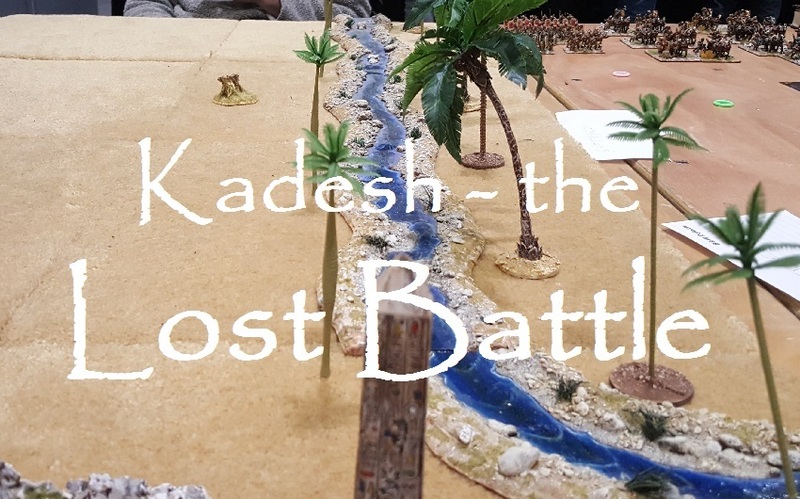 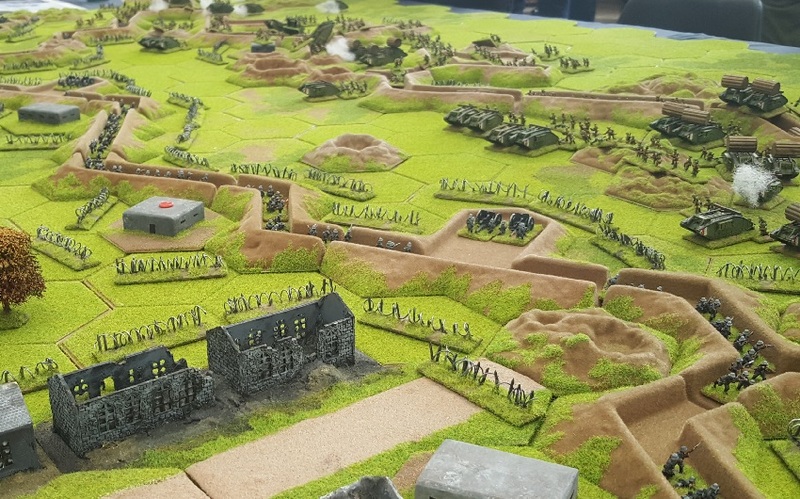 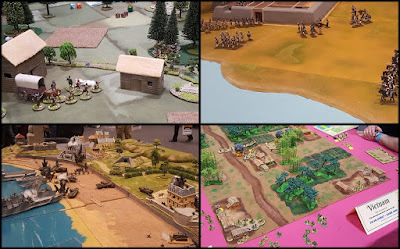 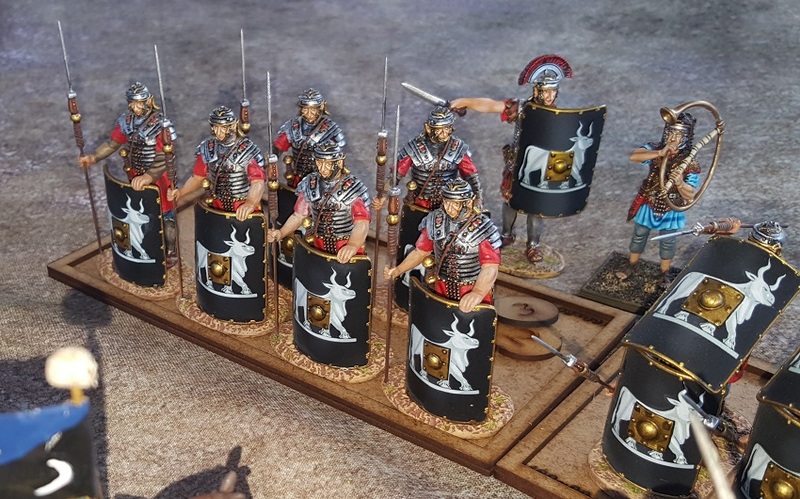 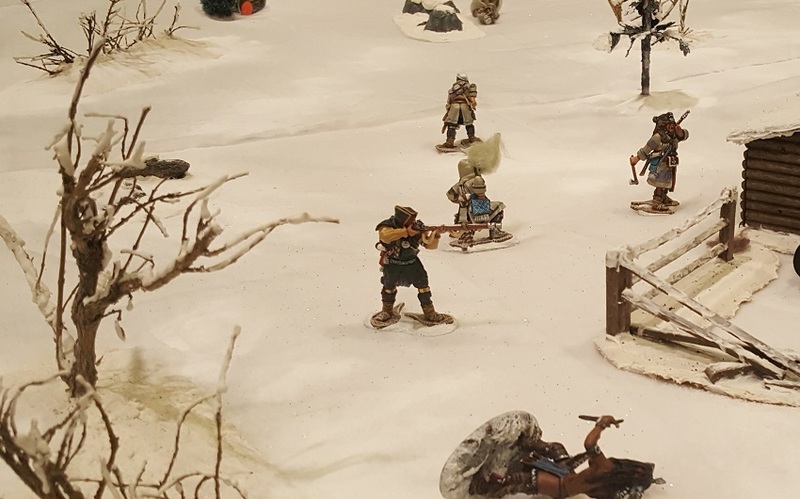 Equally important, but firmly imbedded in the Participation Games zone, Wargame Developments is another volunteer association encouraging game designers and rules innovation. So, a wonderful History Zone, and surprisingly lots of ECW ... but not so much in the ancients and medieval periods at Partizan this year. 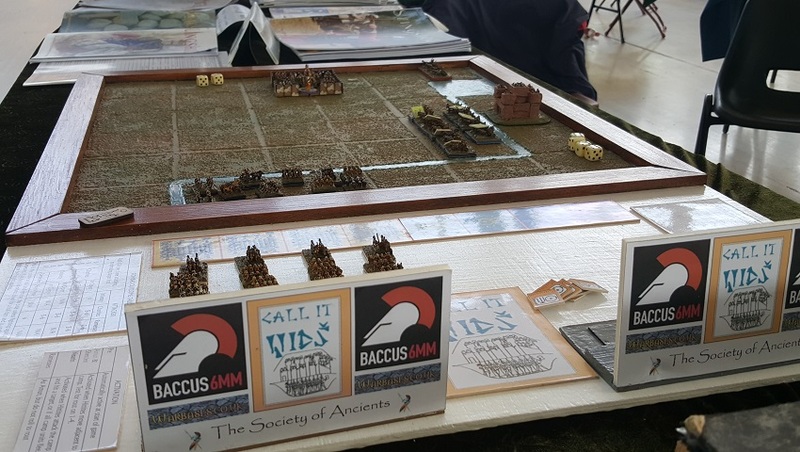 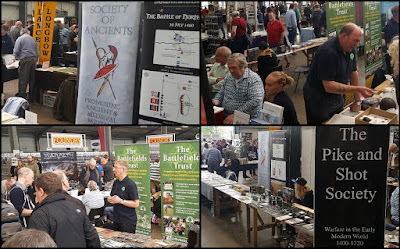 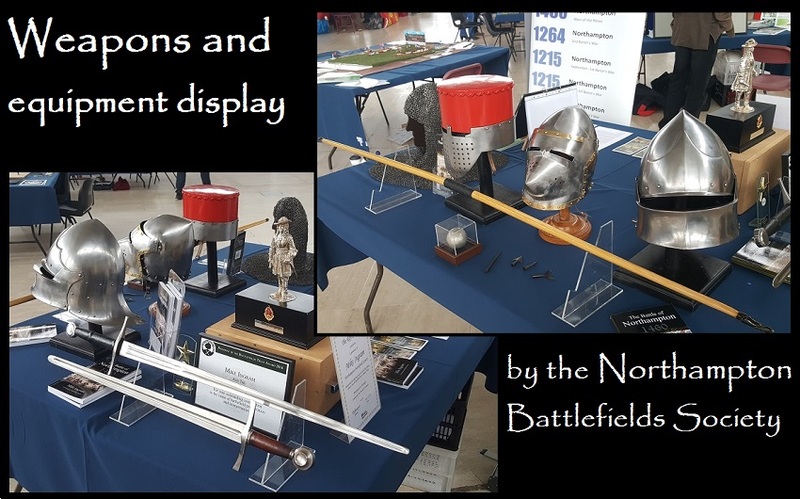 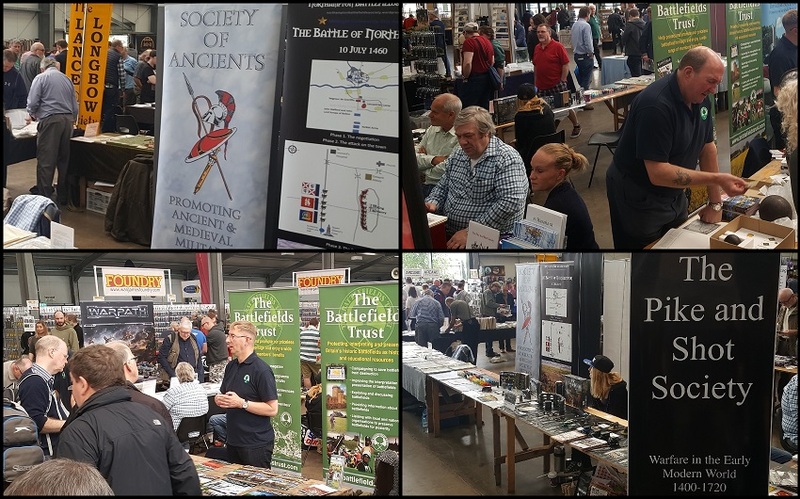 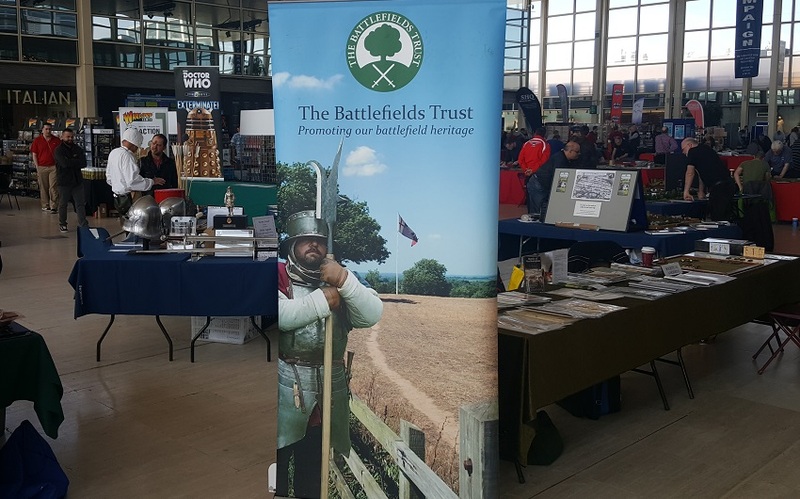 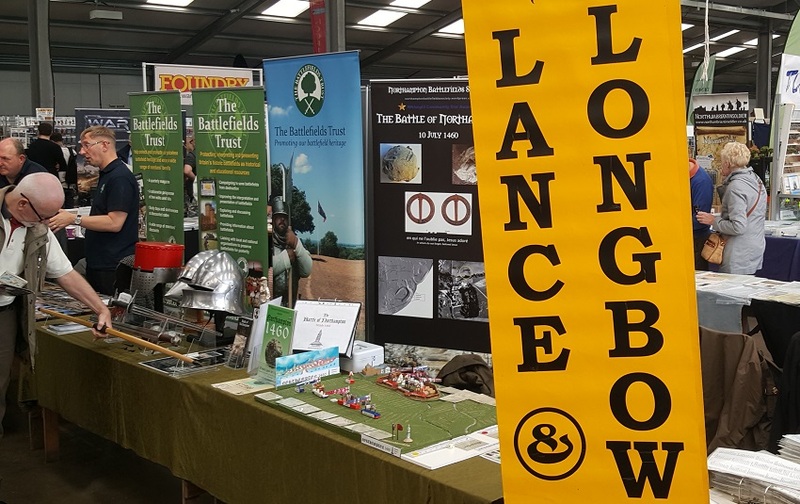 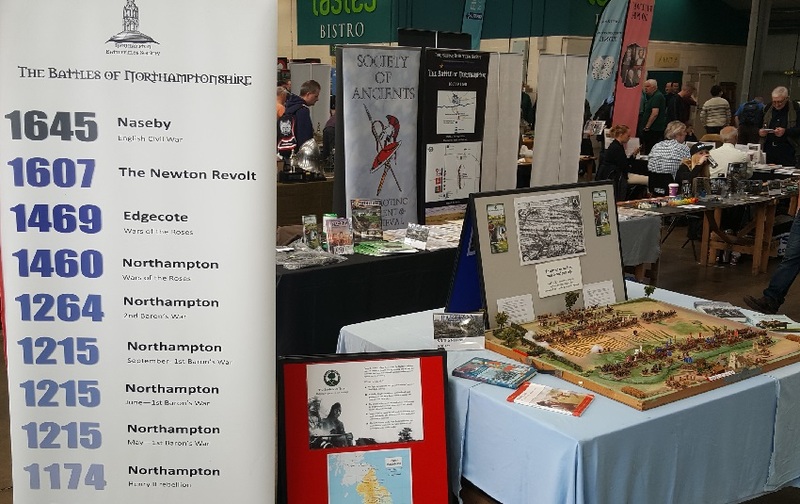 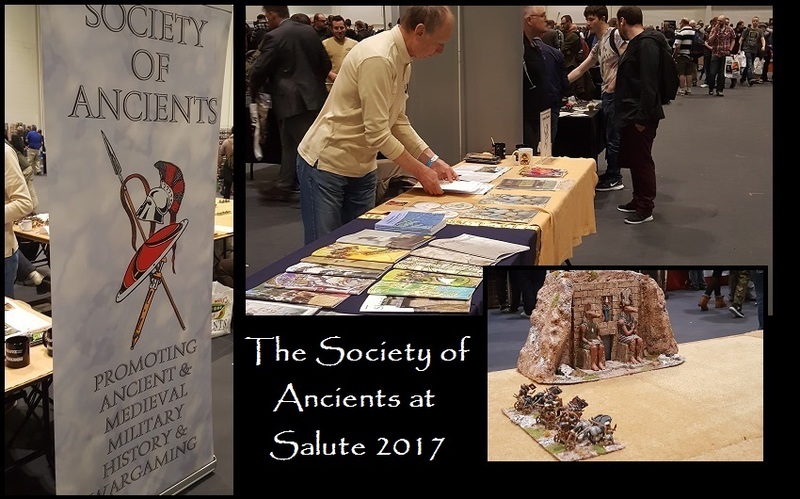 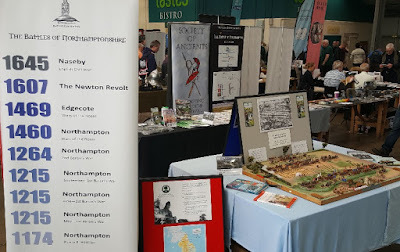 Nevertheless, the Society of Ancients did well and the L&LSoc had a splendid day ... NBS and the Battlefields Trust also had a lot of interest - so thanks to everybody who stopped by. 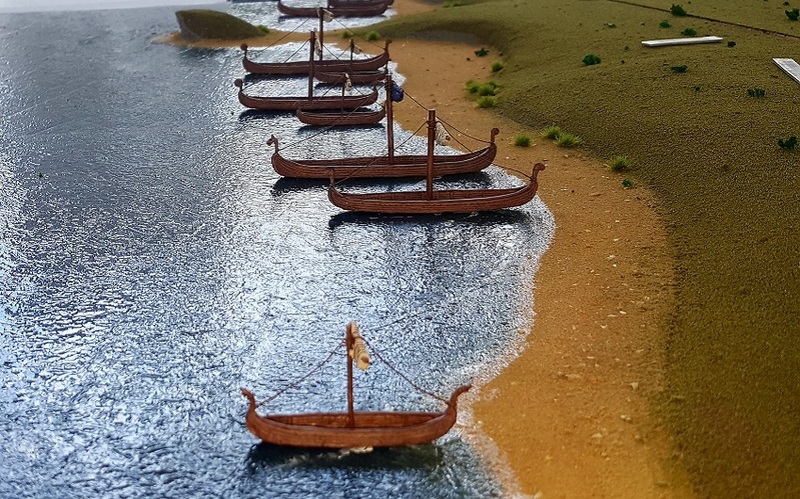 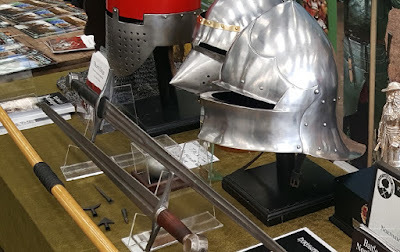 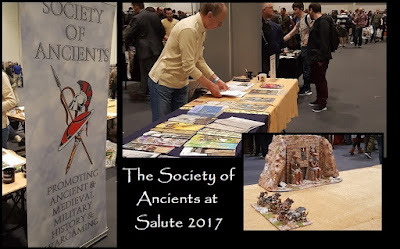 Most ancient and medieval enthusiasts give The Society of Ancients a try at some stage - the majority like and most stay ... if you are not a member, try clicking on the link. The show in the shopping centre. 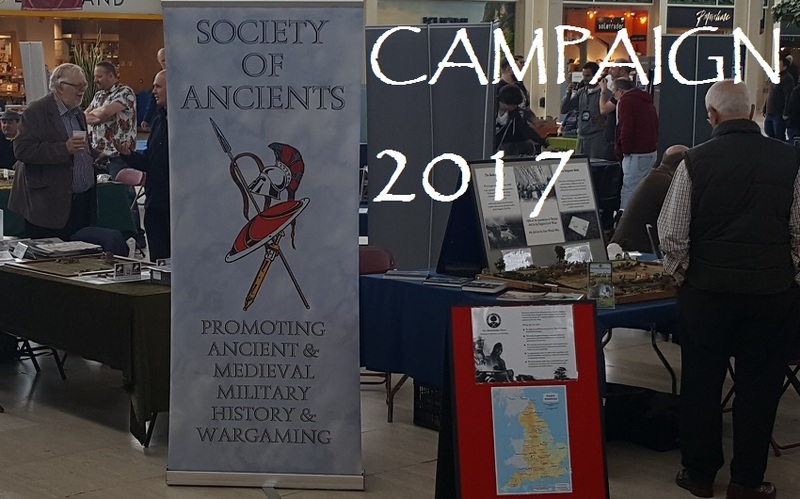 Yes, and a great opportunity to reach out to ordinary folk and engage them with wargames and military history. We were busy all day Saturday and both games got played a lot. The displays attracted a lot of interest - feeling the weight of the swords, trying the helmets etc. 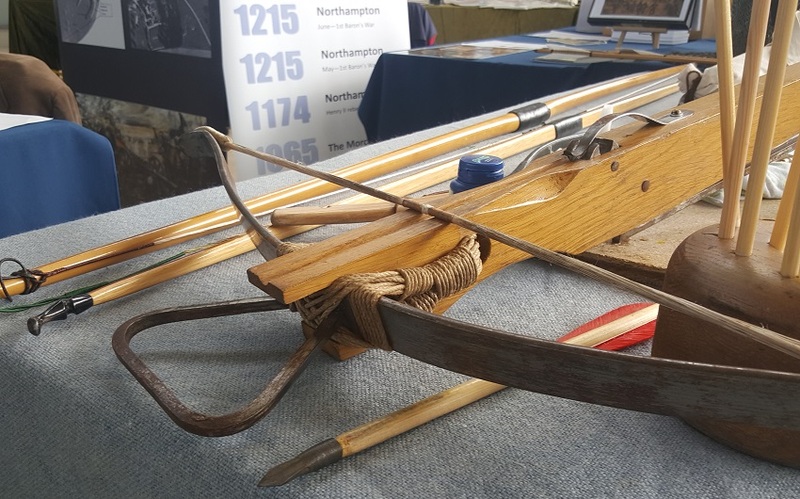 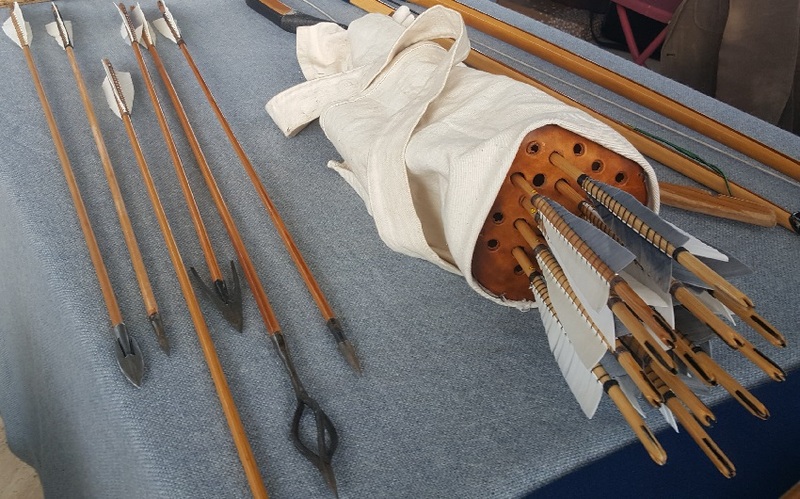 On Sunday we were joined by another of the Northampton team, Peter, the archer who answered questions on the longbows, demonstrated fletching etc. 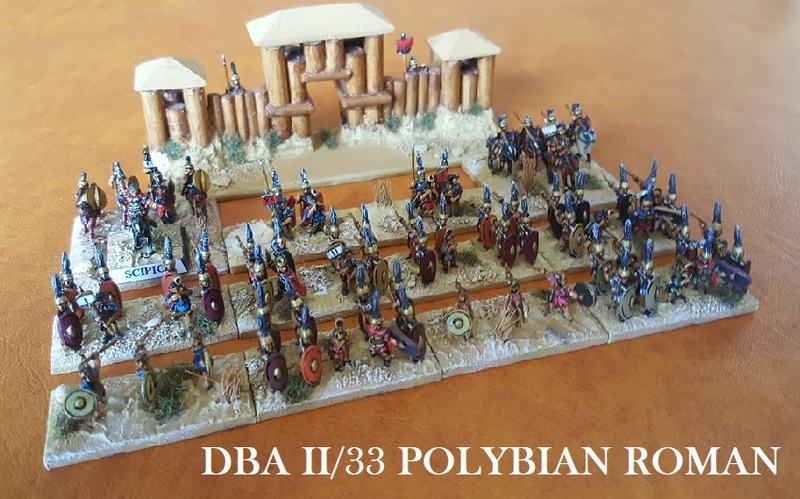 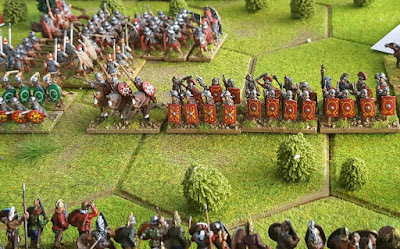 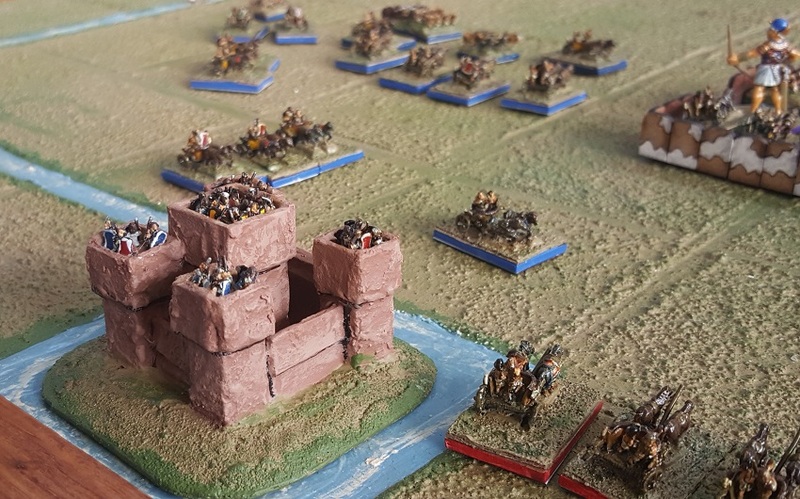 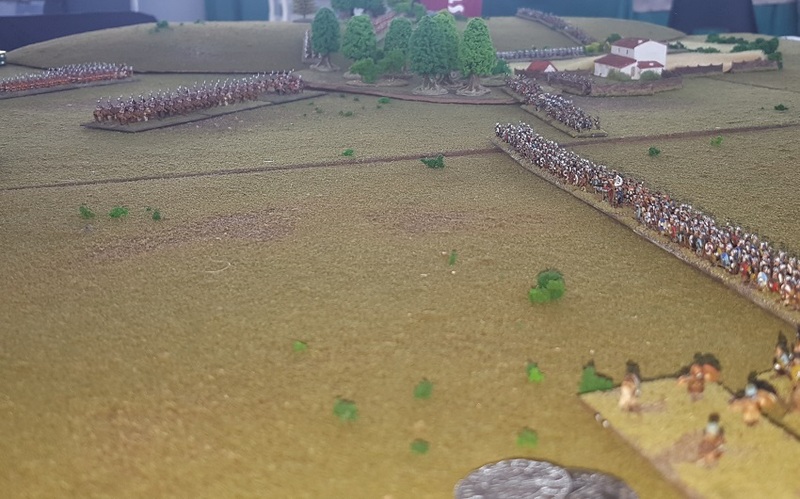 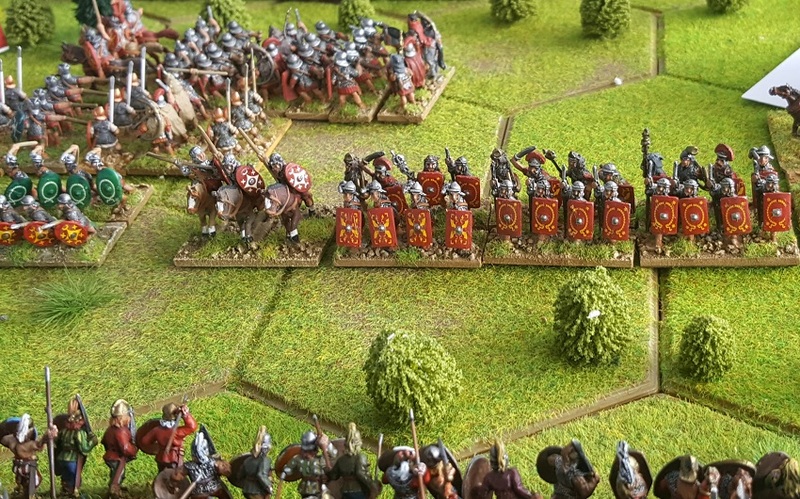 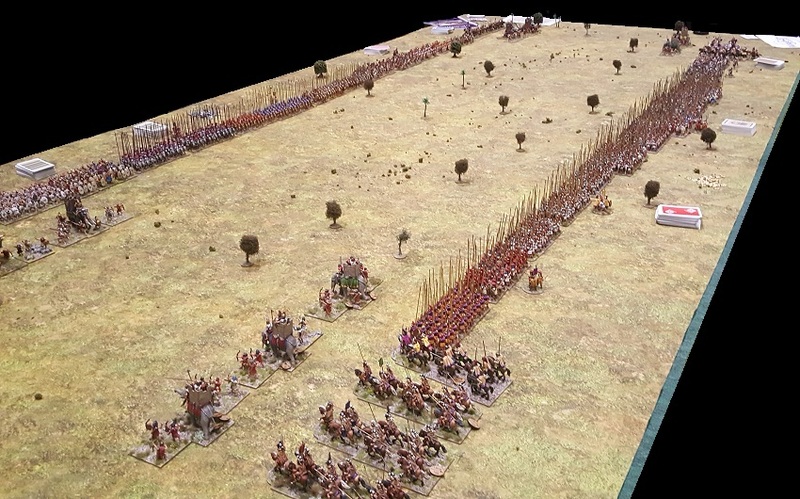 This 15mm game was DBMM at the Teutoburgerwald on hex terrain. 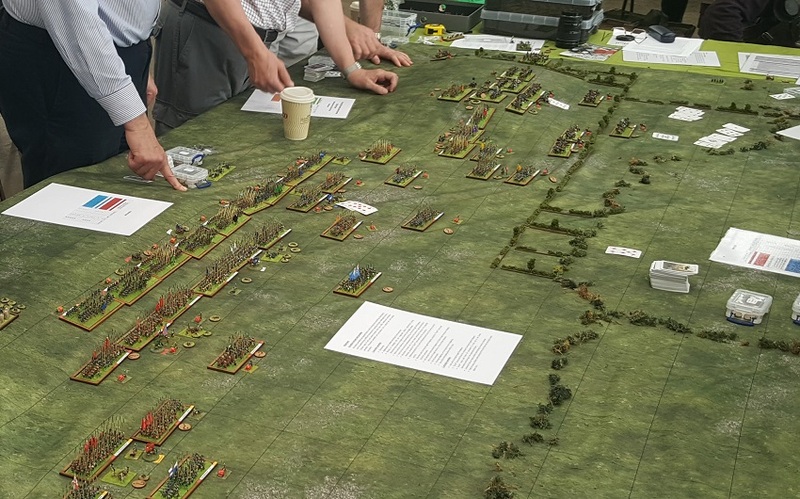 Lots of trees. 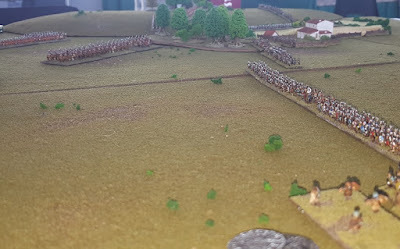 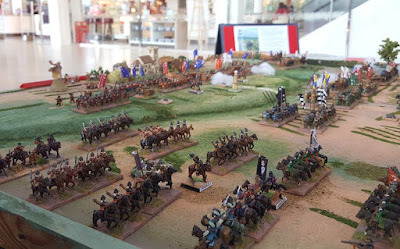 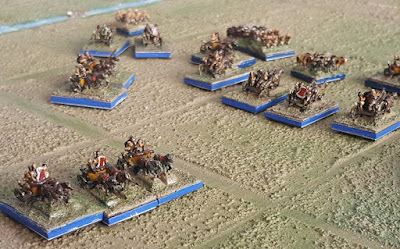 For more of the Naseby, see Phil's ECWBattles blog. 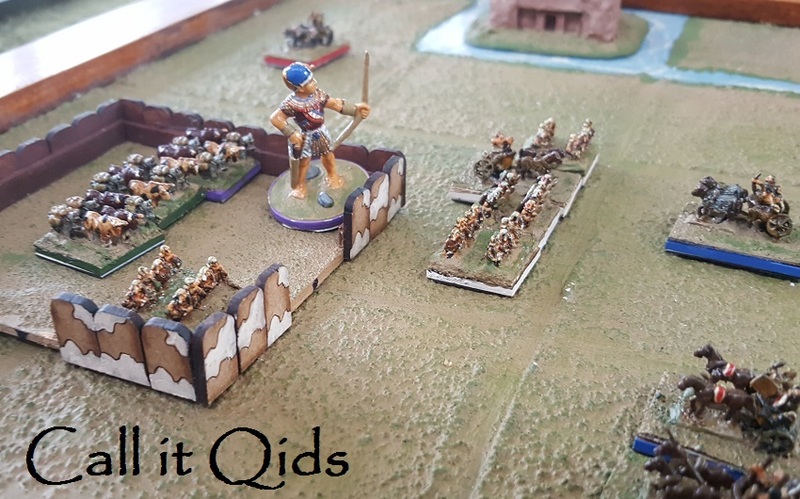 Call it Qids is available from the Society website.